The capital of the Czech Republic is our most valuable urban conservation area. In 1992 the historical core of the city covering 866 hectares was listed in the UNESCO World Cultural and Natural Heritage Register. Prague was also one of the nine cities awarded by the European Community the title of European City of Culture for the year 2000. Golden Prague, Magical Prague, Prague, the city of hundred spires, Poetic Prague - these are just a few of the many attributes that Prague has merited. While the Czech Republic lies in the heart of Europe, Prague is its soul. 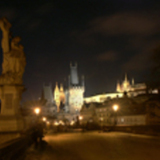 Since the very beginning, Prague has always played an important role in the history of the nation, country and Europe. Since the Middle Ages, Prague has been known as one of the most beautiful cities of the world, and has been attributed adjectives such as "golden", "city of hundred spires", "the crown of the world", "a stone dream". Throughout centuries, prominent personalities paid homage to it. W. A. Mozart, L. van Beethoven, F. M. Dostoyevsky, A. Rodin, G. Apollinaire, P. I. Tchaikovsky, O. Kokoschka as well as the British Queen Elizabeth II and Pope John Paul II professed their beguilement by its attractiveness and architectural beauty. Writers and poets, such as Jan Neruda, Jaroslav Hasek, Jaroslav Seifert, Franz Kafka, Max Brod and Egon Erwin Kisch featured their home town in their works. Prague is an amazing blend of many architectural styles, including Romanesque, Gothic, Renaissance, Baroque and Art Nouveau, as well as Cubism and modern architecture. They all merge into a surprisingly harmonious mixture. Prague's Baroque and Cubist buildings are quite unique. The greatest attraction amongst these architectural and artistic treasures is the majestic compound of Prague Castle with St.Vitus' Cathedral, the Old Royal Palace, St.George's Basilica and Convent, and the Golden Lane. In the vicinity of the castle is the Loreto Church and Treasury containing a priceless collection of church monstrances, jewelled goblets and golden robes. The nearby Strahov Monastery offers a tour of one of the most impressive historic libraries in Europe. Its valuable collection of more than 130,000 old books and manuscripts dating back as far as the 10th century is displayed in lavishly designed rooms. For many tourists, a walk along the King's Way has become one of the most unforgettable memories. The Way once connected Prague Castle with the Old Town (Stare Mesto), passing through the architectural gems of the Lesser Town (Mala Strana) and across the famous Charles Bridge decorated with 30 statues. The most remarkable sights of the Old Town are the picturesque Old Town Square with the Old Town Hall and its astronomical clock, the Tyn Church, the Powder Tower and the Bethlehem Chapel. Another unique place is the former Jewish Ghetto, commemorating the life and work of Prague's Jewish Community throughout the centuries. The most famous sights are the Old Jewish Cemetery and the so-called Old-New Synagogue which is the oldest synagogue in Middle Europe. Prague also has its modern faces. Its Congress Centre hosted the annual meeting of the International Monetary Fund in the year 2000; many of its hotels are a part of world-wide hotel chains (the total capacity in all types of accommodation facilities is 70 000 beds), and there is a wealth of luxury restaurants and shops, exhibition halls, galleries, theatres, museums and concert halls. 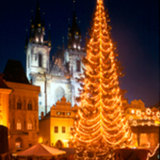 Prague, and only Prague, with its unforgettable atmosphere is the town, which can exceed all your expectations.